gay health | Keep It Up, David! I don’t think I’ve ever really shared on this blog what a huge fan I am of live theater. I haven’t consciously been hiding that part of my life from you, it’s just that my theater-going and my escapades in healthy living and weight loss don’t ever really overlap. They overlapped this weekend, though, when I saw a powerful new play that ended up leaving me breathless. It features strong performances and a compelling story, but what really brought the tears to my eyes (literally) was the fact that it hit really close to home. Too close to home. The play is called “The Whale,” and South Coast Repertory in Costa Mesa, California is presenting the West Coast premiere. “The Whale,” written by Samuel D. Hunter, tells the story of the final days of a man named Charlie, who is succumbing to congestive heart failure and other complications brought on by his extreme obesity. Charlie weighs 600 pounds, refuses medical treatment except for that provided by his only friend, a nurse named Liz, and is a complete shut-in in his small apartment in rural Idaho. EGGIES! 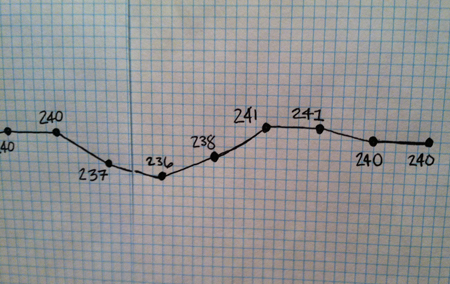 Plus: Weight Loss Chart Update! Man, I love hard-boiled eggs. I typically hard-boil a dozen eggs a week, and eat them as part of my lunches and after workouts. Usually, I eat only the whites, and toss the yolks into the trash, along with the shells, but every once in a while, I’ll eat one whole egg in addition to 2 or 3 more whites. Egg whites are an excellent source of protein, are fat-free, and low in calories. We’re already halfway through January? 2013 is just flying by! At the moment, I feel like I’m finally free and clear of the cold that I’ve been fighting for about 2 weeks now, but I won’t feel that way in the morning. Every morning I wake up stuffed up and snotty, and by the end of the day, I feel much better. Then, I wake up the next day feeling stuffed up and snotty again, and the cycle resumes. I’m tired of it. 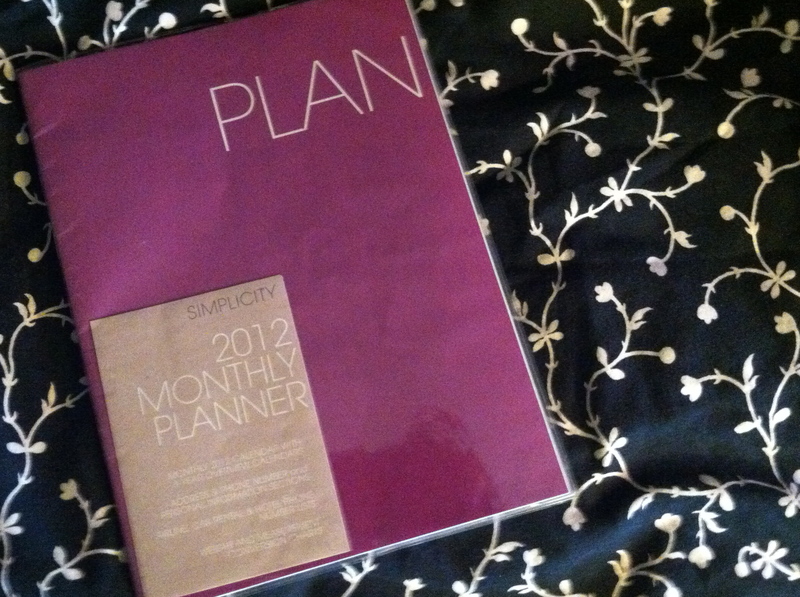 My 2012 Year-End Progress Report! 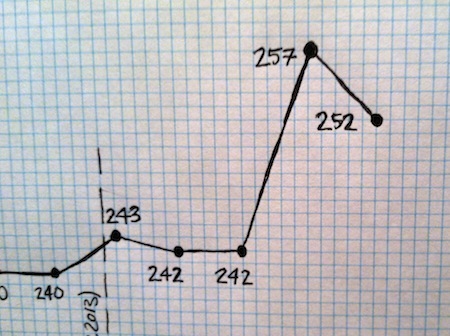 Even though I haven’t posted a monthly report since July, I’ve still been tracking everything, and it’s time to summarize my year in exercise. I hope your holidays were fantastic, like mine were. I went to Michigan for Christmas, and then to Chicago for a couple days for New Years. Now I’m back in Los Angeles, where I’m fighting a nasty cold and working my way through a box of tissues like nobody’s business. I have a (hopefully) fun post with lots of (hopefully) fun pictures planned of some highlights from my Christmas vacation, but I’m just too tired to start working on it now. But, I didn’t want to leave you hanging, since it’s been a while since I’ve posted anything – 17 days, as it was pointed out to me via text message from a friend and reader. 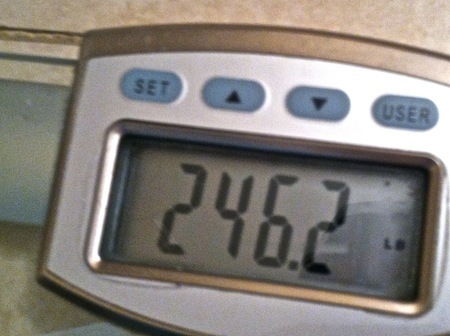 So… here’s what happened when I stepped on the scale this morning! It’s my first weigh in of 2013! I made it through the holidays without gaining weight!